The beautiful state of Kerala in India is known for its serene ambiance and lush surroundings, with the most splendid natural wonder being backwaters, which are a chain of lakes and lagoons. Now, one of the best ways to experience this region is on a houseboat. Basically, the Kerala backwaters are a network of rivers, canals, inlets and lakes, forming more than 900 kilometers of waterways, and at different points in its surrounding cities and towns, you will find starting and ending points for houseboat cruises. While cruising, you will find a diverse range of flora and fauna that make the backwaters their home and provides it a fantastic site, including palm trees, pandanus shrubs and several leafy plants for the flora and local and migratory birds, crabs, turtles, frogs, mudskippers and otters for the fauna. Kerala is an exciting holiday destination in India, Kerala holiday packages offer you a trip into the enchanting land of backwaters. Running along the coast of the Arabian and inland in the coast of Kerala from Cochin to Kollam, there are a number of routes through which you can sail on a houseboat. This Alleppey round trip cruise will get you sailing through Kuttanad, where you can see lush natural scenery with coconut palms on the edges and mirror images of the surroundings on the placid waters. The main attractions along this route include the Kuttanadu Paddy Field, the Karumadikuttan (an 11th century statue of Lord Buddha) and the rural life of the people living along the coasts. This route is said to be a combination of the best of houseboat cruise experiences in the backwaters of Alleppey and Kumarakom. Some of the highlights of this route include a bird sanctuary, local villages, farm fields and many other places of interest that have been attracting tourists. 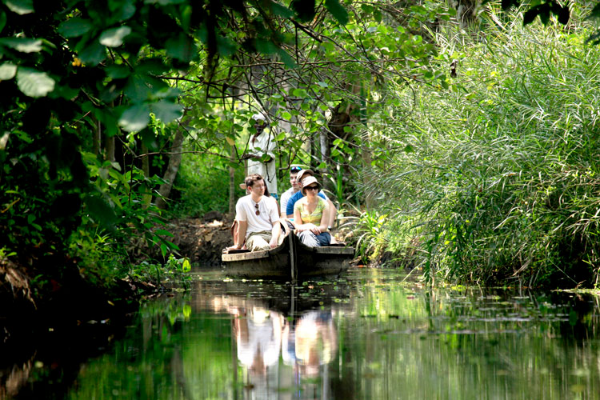 You will get the chance to explore the village of Kuttanad, which is referred to as the Rice Bowl of Kerala. Actually, this is a favorite route among honeymooners. This is another serene backwater cruise route of Kerala where there is also a number of great attractions, including the Chavara Bhavan (traditional houses on the banks), Ambalappuzha temple, Karumadikuttan (an 11th century statue of Lord Buddha), Champakkulam Church and a sail on the Punnamada Lake. One of the most popular activities in this cruise is on the waters of the Vembanad Lake, where you can enjoy bird watching at a wildlife sanctuary. Kumarakom is also famous for its beautiful sunset. 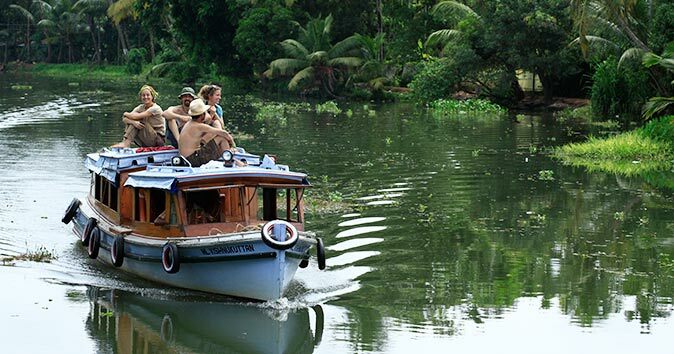 This route is said to be the longest backwater cruise, covering the entire backwater area. 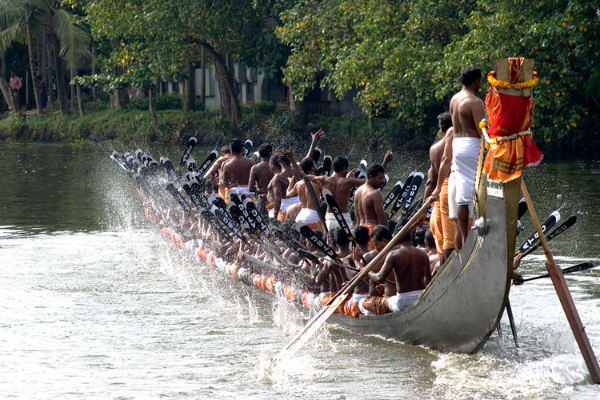 Among the main draws here include paddy fields that are lower than sea level, a coir village, Karimadikuttan and the Amrithamanadha Math at Vallikavu. Though the Kerala backwaters are a year-round attraction, keep in mind that the best time of the year to visit it is from August to May. To make the best of your houseboat cruise here, try to avoid the monsoon.